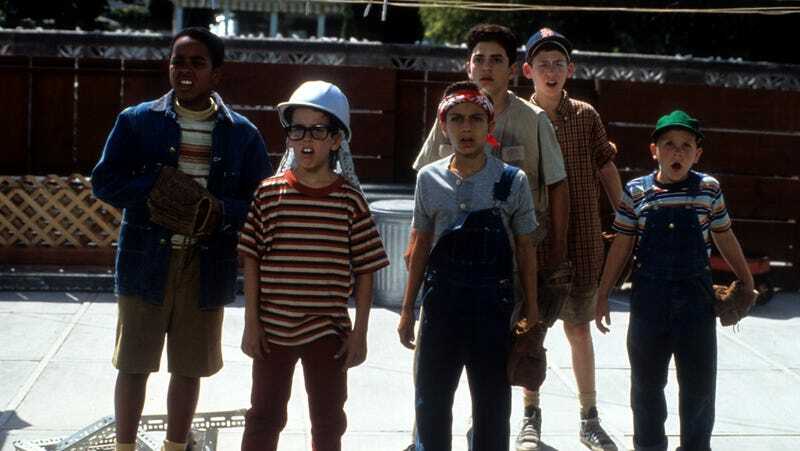 People have been celebrating the summer season with The Sandlot for more than 25 years now, enjoying all its cheerful childhood trash talk, creepy lifeguard kissing strategies, and educational treatises on the nature of s’mores. But does David Mickey Evans’ 1993 baseball classic—and its two direct-to-video sequels—really answer the deep questions lurking at the heart of its setting? Does it offer up all the delicious lore we require to really understand Smalls, and all the ways he’s killing us? Apparently not; Deadline reports that Evans has successfully sold Fox on plans for a prequel to his nostalgic powerhouse, supposedly centered on the legend of “The Beast.” (Spoiler alert: His legend is that he was a small dog, and then he got bigger, and also James Earl Jones was involved.) Honestly, this just sounds like the studio taking a chance to reboot the franchise with a new cast of kids and some name recognition, which, sure: There hasn’t been a decent kids’ baseball movie in a while. That whole “prequel” concept still sounds a little silly for a film that was already a period piece, though; at this point, fans who grew up with the film are presumably a lot more invested in nostalgia for 1993 than they are for the ’50s or ’60s. What movie best captures the spirit of summer?